How To Turn Your Windows Pc/Laptop Into A Wi-Fi Hotspot: 8 Apps To Turn Your Windows Pc Into A Wi-Fi Hotspot. 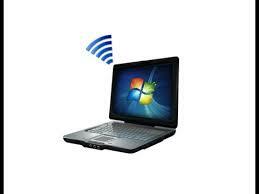 To turn your windows PC (laptop or desktop) into a Wi-Fi is one thing majority of people don’t know. It may interest you to know that sharing your computer’s internet access among your Wi-Fi devices is an easy way to save bandwidth and maintain network security. In this post, I will show you the best Wi-Fi software that can share a single internet connection among your friends, devices and other Wi-Fi enables products. Let’s Get Started: Below are the best 8 Apps to Turn Your Windows Pc into a Wi-Fi Hotspot. Virtual Router is a simple windows program developed by Chris Pietschmann, a Microsoft MVP for Bing Maps and Co-Founder of Carto LLC. This freeware turns your Windows 7, windows 8 and Windows 2008 R2 into a super Wi-Fi hot spot. With virtual router, user can wirelessly share their internet connection with any device and the connections are completely secured with WPA2 (the best wireless encryption). Download Virtual Router Here, install and launch it. Provide a name for your network, enter a passphrase (password), and choose the connection you want to share with devices that connect to that Wi-Fi network. Click the “Start Virtual Router” button, and you are done. You can even see a list of connected devices in the window. Connectify is a popular Wi-Fi hotspot software that has the ability to share any internet connection wirelessly to any Wi-Fi enabled device. It also offers file sharing among connected devices and has an automatic connection selection. DownloadConnectify Here, install and launch it. Wi-Fi hotspot creator isn’t a new kid on the block. This free software does what other’s do but in a unique design and style. It’s malware free, easy to install, secured and has a good support via Forum and Email. Download WiFi HotSpot Creator Here, install and launch it. Thinix is a premium software with a 7 day trial. Thinix supports large number of windows operating systems including Windows 8. It supports laptops, Desktops with Wi-Fi cards and Tablet computers. Thinix allows administrative users to share wireless devices connected by USB and has a WPA2 encryption method for securing Wi-Fi. DownloadThinix Wifi HotSpot Here, install and launch it. SeventhGate enables Windows 7 and windows server 2008R2 computers with wireless network card to turn into a cool wireless router. It achieves it purpose by using the virtual wireless mini port adapted in your computer. It’s very similar to virtual router and also easy to use. DownloadSeventhGate Here, install and launch it. Maryfi is a free and simple to use software router for computers running windows 7. Maryfi has the ability to share any internet connection or cable modem. One unique feature is that it can share the Wi-Fi network your computer is connected to. The Wi-Fi password has a WPA2 Encryption. DownloadMARYFI Here, install and launch it. mHotSpot has a unique way of allowing you play Multiplayer games over Wi-Fi. It super charges and turns your windows 7 and windows 8 Computer into a virtual Wi-Fi router. mHotSpot requires no installation, connects up to 10 devices, shares any type of internet connection, view the details of connected devices, view the network statistics, has an android app via Google play and usage and set maximum number of connected devices. DownloadmHotSpot Here, install and launch it. Whisher is a special Wi-Fi hot spot creator that can detect Wi-Fi signals around your environment and can also share them once you are connected. Whisher also allows ISPs to brand their company’s logo in other to maximize their business. Whisher allows you to share your Wi-Fi like a network administrator. DownloadWhisher Here, install and launch it. Note: At the time of this post, the above 8 Apps work. Some of the Apps may ask you to sign up with them before you can use them, sign up with such App. Also, some of the Apps is trail version, to enjoy full service you will need to upgrade to Premium version and that will cost you some change (money), some are totally free. In my subsequent post, I will share with you more tricks/tips on how to turn your Windows Pc/Laptop into a Wi-Fi Hotspot. So, SUBSCRIBE to this blog now if you don't want to miss them, even if I post them here, when you are not online. Related Posts: Internet Tips., PC tips, Wi-Fi Hotspot Tips. Labels: Internet Tips., PC tips, Wi-Fi Hotspot Tips.